RollStats tracks roll statistics and displays them in various formats. Rolls are tracked for each player, for each die size, both for the current session (since the API sandbox was started) and for all time. It is recommended that this script be used in conjunction with the CommandShell module, which will improve output formatting and command discovery. -h, --help: Displays a help message and exits. -g, --global: Shows stats for all players. 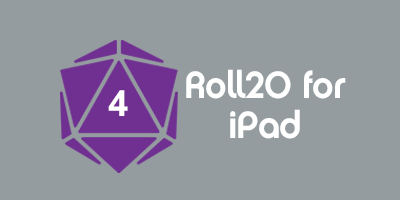 -p P, --player P: Shows stats for player P, specified by display name, player ID, or Roll20 user ID. -l, --leaderboard: Shows summary information (roll count, average value, and expected value) for each player, sorted in decreasing order of value / expected (i.e. lucky to unlucky). -d N, --die N: Shows more detailed stats (count and %, plus expected count and %, for each possible roll, along with the mean and expected mean) for the specified die size. -s, --session: Shows only stats for the current session (since the API sandbox was last restarted). In most cases, this will be for the current play session, but it might be less if the sandbox was restarted during play or more if players remain connected between play sessions. -c, --chat: Shows stats in the chat instead of whispering them to the player who executed the command. --clear: Clears session stats if combined with -s; otherwise clears "all time" stats. Can only be executed by a GM. The default mode of operation shows a high-level summary (roll count, mean value, and expected value for each die size rolled) of all the rolls made by the player who executed the command. This page was last modified on 30 September 2015, at 02:53. This page has been accessed 4,202 times.